Use Special Effect Vinyl to create a visually stunning graphics that boost your profits. When being manufactured colors are incorporated into the resins not just surfaced dyed. This improves durability and permanence, the colors will not scratch off!I will introduce a few specialty vinyls to you starting with Decorative Diffrato-Lite Mosaic. This type of vinyl is for interior use only. The light diffraction creates the appearance that the intricate interlocking geometric pattern is in motion. Another type of specialty vinyl is Decorative Multi-lens. This type of vinyl is also for interior use only, continually repeating patterns of 3D concave or convex lenses that create the effect of metallic spheres. For a special effect vinyl that has outdoor durability you should go with Diffracto-Lite Brite Overall. This is a smooth silver iridescent vinyl that appears to change colors when viewed from different angles or in different light. There are many more specialty film styles that can be used to give your print, whether its a vehicle wrap or a banner, that wow factor to grab the attention of people everywhere. Call for questions and estimates!! At Laser Sharp Sign Design we have the ability to use the MACtac metallic enhancer which will give your prints a whole new definition. There are many different options with the metallic enhancer to give your prints a fantastic look.This enhancer can be used over digital prints to create a metallic paint like appearance It can also be placed on colored vinyl to create special effects in your prints. With the ability to add the effect to the graphic or just laminate a ‘regular’ print with this product you can get an awesome look that makes you stand out from the rest. Call for question or estimates!! When your driving down the street every which way you look there are signs. Grocery stores, fast food, gas station, and resturaunts are seen every where. But what about the small business located between all those places? Sometimes those are the signs that are over looked. There have been times where I knew the place I was looking for but still drive past it because their sign doesnt stick out like the rest. This is your road sign, the sign people can use to locate your business, also the sign that people can recognize your business by. Driving through the streets of Tampa I have seen some really bad signs by the road. Beat, torn, faded and more. How am I suppose to call a company if the signs so faded I cant read it. Business owners dont realize that this is a vital piece of business, this sign is thier identity and without an identity your business is nothings besides a building. These are the problems that we want to fix at Laser Sharp Sign Design. Get the small businesses out from underneath these large corporations signs that are hiding thiers. Does this mean get a sign that is bigger than any other out there? Well that might work, but no. 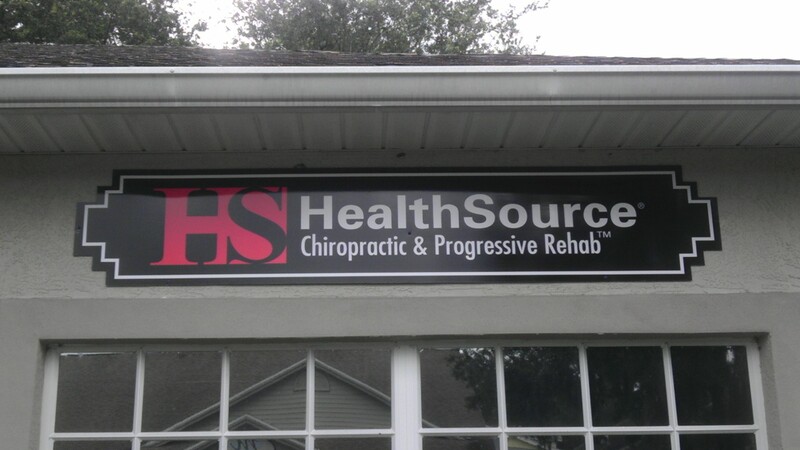 This means come to Laser Sharp Sign Design where we can create an eye popping laser sharp product that will grab the attention of every person who drives by. Size does not always win the fight, quality plays a large role and with high quality signs from Laser Sharp Sign Design your signage will be getting all the attention of those big corporations and some. When wrapping a vehicle one of the first effects that will happen is the edges of your vinyl coming up. When working with edges most installers will wrap the vinyl behind the panel they are working on and stick it on the back side. This is good because it prevents your edges from taking to much wind and pulling your edges up. Even though this helps it does not prevent it completely some specialist say using a primer beforehand will help with the stick. Although this is an effective solution, using sealing tape is the most effective and simple way to make sure that your edges don’t pull up. It helps seal and protect all edges of the wrap including wheel wells, the hood, trunk, and doors.The tape is clear which makes it invisible to the eye and also extends the life of your wrap. Make sure that your installers are using this tape so you get your full money’s worth from your wrap! When wrapping anything, having a clean substrate is the most important part. Every vehicle should be prepared as followed: Wash 24 hours in advance, 70% Isopropyl Alcohol the entire car, use denatured alcohol for tougher areas, Xylene on the bumper and rocker panels. 3M Prep Solvent-70 should be applied everywhere vinyl goes, and a final wash with the 70% Isopropyl Alcohol. Doing these simple steps is the best way to insure that your vinyl wrap will stick and stay applied for the longest amount of time. Acid dew comes from pollution mixing in with dew drops and becoming increasingly acidic with the more sunlight that hits it. This problem seems to be coming more common especially in warmer climate areas. 3M has come out with a new product to prevent damage to your vehicle wraps, 8528 laminate will reduce harmful effects of UV light and acid dew. This new lamination was designed specifically to guard against spotting and discoloration caused bu UV light damage and acid dew. Another way to prevent from this sort of damage is to maintain washing and polishing your vehicle. There are certain chemicals that should not be used on a vehicle wrap, doing so could cause discoloration, holes in your vinyl or removal of the print. Be sure to use chemicals that are friendly to your vehicle wrap, washing it constantly will keep your vehicle wrap in the best condition with no effects from UV lights and acid dew. 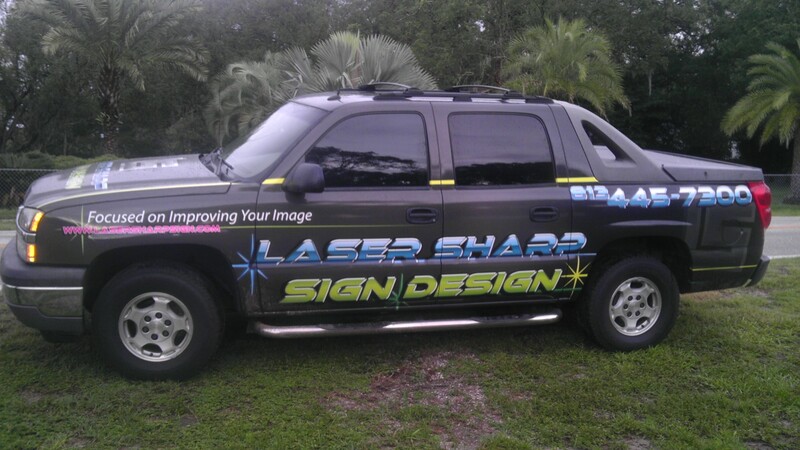 Our customers tell us that over laminating their vinyl wraps is a necessity. The vinyl over laminate not only protects the print from fading, abrasion, gasoline, ect., but also strengthens the vinyl which makes installation easier. Using lamination will also make removable of the vinyl easier if and when you decide to do so. The best part about lamination is the extra protection it will give your car. If you ever accidently set a chemical bottle or paint on your vehicle it is no problem with the lamination it will come right off. This Avalanche is laminated with 8518. Static cling is a material which has a static side and a print side. Its important that you don’t print on the static side, doing so will cause a bad image and take away the static cling effect.You also want to be sure not to apply the print side to the glass, this could cause for color stains in the glass and will also ruin your image. Static cling material is great to advertise your business by sticking to cars, empty building, essentially anything that will except the cling. If you put your static cling flyers in the right places then you can expand your customer base. People always need some type of service, sometimes their just to lazy to find where and who can provide it for them. So if your providing a service using static cling flyers can be a great way to advertise, because now you take away the searching people would have to do to find your business and give them all the information they need on your flyer. The ability to stick it to peoples cars and office windows gives you more probability of getting hits from people that could use what you have to offer. Static cling print outs are usually smaller but can be a very effective form of advertisement. 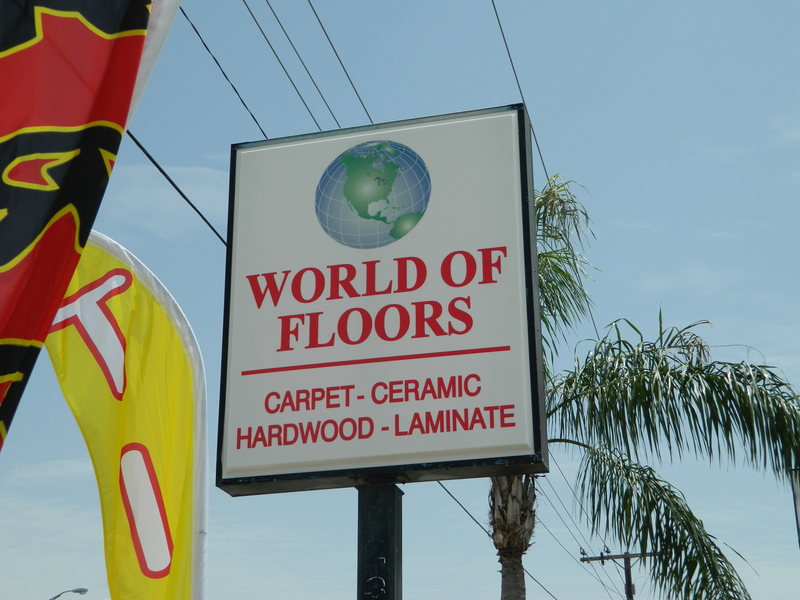 World of Floors in Tampa Fl decided that it as time for an upgrade in their signage. As you can see in images they go from a plain white and red banner hanging about their door to a illuminated light box sign. The new signage makes their appearance much more professional and easy to read. Customers notice the way your company represents itself, seeing a banner represent a company that insures quality work leaves doubt in a customers mind. Having professional signage is the difference between showing up to an interview in pajamas or in a suit and tie. You have to represent your business the way you would want to be when trying to attract customers, high quality and professional. World of Floors also added a street sign to help attract more customers from the road. This is big for their business, now they can attract customers that may have never known they were there. 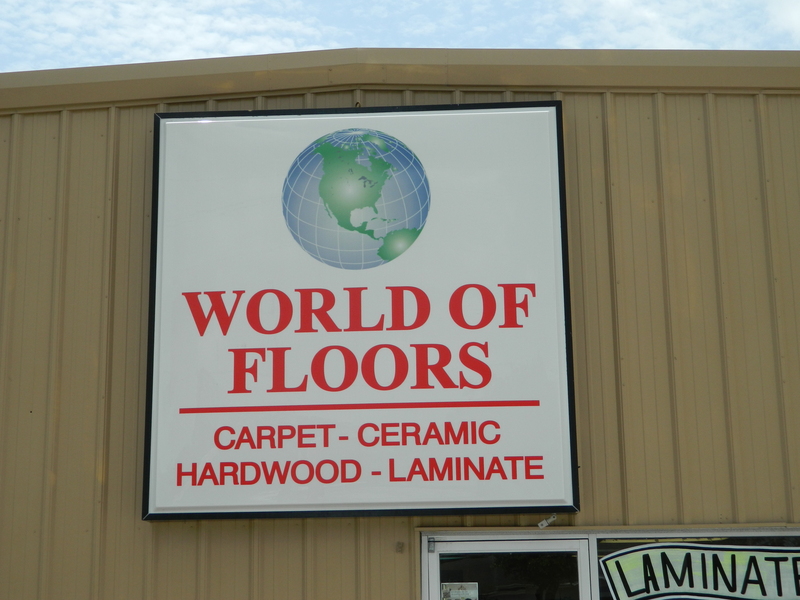 Know with new signage and a new business logo created by Laser Sharp Sign Design’s graphic artist World of Floors will draw much more attention and increase their customer awareness.